It’s official. I’m not a French student anymore. That’s right. 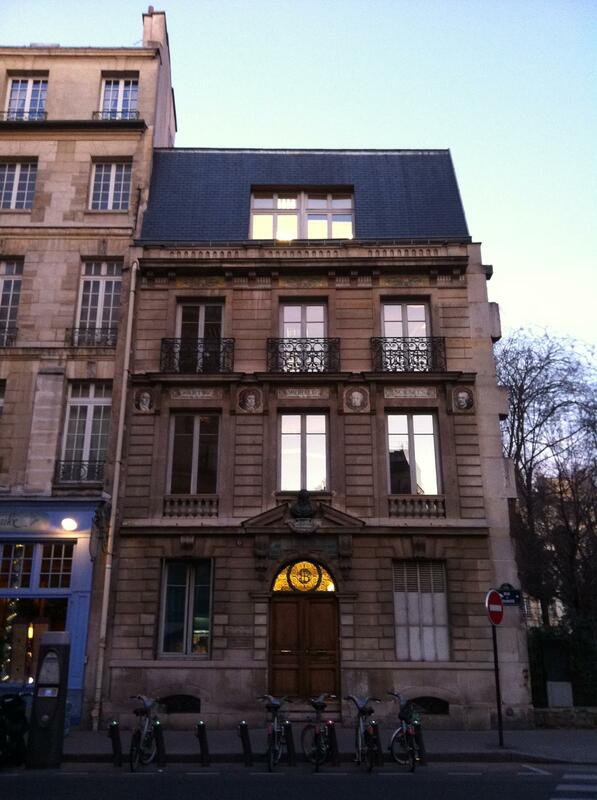 I just finished up my third and final semester of French courses at the Cours de Civilisation Française de la Sorbonne. Last week, I wrote a 1,540-word paper on French-Canadian literature. Then, I spent an hour and a half answering the question “Why can we speak of a myth of progress?” for a “Myth and Modern Thought” seminar. On Saturday, I took my final exam in French grammar, reading comprehension, and written expression. Today, I cleared the final hurdle: the oral exam. The oral exam has always been the most intimidating for me. Despite the fact that it only counts for maybe 10 or 20 percent of the final grade and only lasts for 10 or 15 minutes (as opposed to 3 hours for the written exam), there’s something infinitely more nerve-racking about sitting at a table across from two French professors and speaking in French about an excerpt from a work of French literature. To be honest, I think I spent more time studying for the oral than I did for the written exam: reading and re-reading eight different texts as disparate as Montesquieu’s Les Lettres Persanes and Albert Camus’s Le Premier Homme, summarizing each one, reviewing the more esoteric vocabulary, identifying the major themes, and then worrying about my pronunciation when it would come time to read aloud! This morning, I was very lucky. I ended up drawing at random Baudelaire‘s L’Albatros. You might remember that this is the poem I never got around to memorizing for a recitation earlier this semester, despite our professor’s pleas. Of course, I didn’t have to recite it this morning, but I did have to read it aloud and—just to let you know—even reading French poetry with a English-speaking mouth isn’t an easy thing to do. But I did it and did it pretty well, if I do say so myself. It’s a good thing I practiced a few times with Michel this weekend! I explained the “story” of the poem and then moved on to discuss the analogy: the poet, like the albatross, is a “different” being, beautiful and graceful in his own world, but clumsy, misunderstood, and sometimes ridiculed when “brought down to earth” among the rest of us. I even got to talk about neoplatonism. How often does one get a chance to do that in an average day? After my ten minutes were up, it was time for the next student … and I was relieved to have reached the end. Now that it’s all over, though, I’m already getting nostalgic. I’ll miss my classmates and my professor, who was one of the best I’ve ever had. Of course, as long as I live in France and as long as I have a French family (no matter where I live), I’ll keep learning French. It just won’t be in a classroom anymore … and that makes me just a little mélancolique. Bonjour Michael! Je suis tombée sur ton blog par hasard et je voulais te féliciter pour ta réussite dans l’apprentissage de notre belle langue! Bon courage… on en apprend tous les jours. La preuve: j’apprends toujours encore l’anglais, surtout le “American slang” (God help me!!!)! Merci! Vous pourrez aussi passer sur mon blog Le mot du bonjour si ça vous intéresse. À bientôt sur nos blogs, bonne fin de journée! Je viens d’y aller … c’est génial ! J’aime bien l’idée. à bientôt ! THis is an awesome achievement. Congratulations to you! I’m so jealous. I just bemoaned the fact on FB of my disparaging status of keeping my mouth shut lately, because I absolutely am having a crisis with this language!!! I’m having a French crisis period! I need to friend you on FB!! Hi Melissa, I never took the elementaire level here, so I can’t speak authoritatively about that. However, in general, the final written exam has a grammar section (completing sentences, etc. ), an oral comprehension section (listening to a text read by a professor and then answering a few written questions), a written comprehension section (reading a short text and answering a few questions), and a written expression section (writing a short essay). At the elementary level, I assume it will be the same format, but tailored for that level. The oral should be based on texts that you’ve read in class and discussed with the professor. The day of the exam, you’ll select a text at random, have a few minutes to read it privately, then read a portion of it aloud for the “jury” (your prof + one other) and then answer a few simple questions about it orally. Again, having not taken the elementaire level, I don’t know for sure, but it’s surely something like that. Normally, the professor will give you a quick run-down of what to expect on exam day several weeks before the big day. Are you in the winter semester (finishes in January) or the fall semester (finishes probably right about now)? In any case, good luck with everything! I’m sure it will go well!